This week has been the week of laundry looming. I think everyone has a chore that they hate to do. Folding laundry is one chore that I confidently put off pretty regularly. What is your favorite chore to postpone? 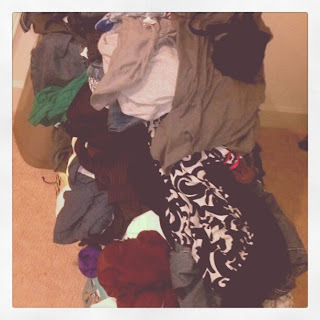 In honor of my actually folding clothes today, this week's photo of the week includes photos of my laundry. You. Are. Welcome. 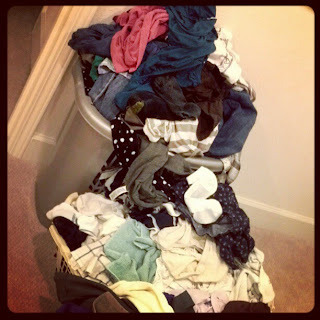 Can you tell how much the pile grew? I should have photographed the one lone short basket when it was all by its lonesome, but I forgot. 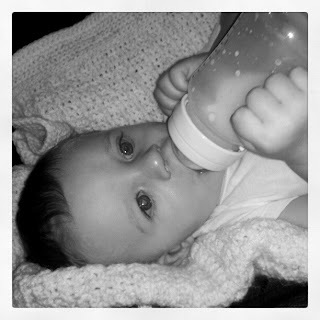 So, here is a picture of my super cute nephew instead. Poor guy wasn't feeling well, but he was still in pretty good spirits.... clearly he did not get that from our side of the family.